This is a tuning device for the new Impulse EVO electric bike engine. The Sx2 tuning dongle takes away the 25 km/h limitation of the Impulse EVO system and allows you to ride twice as fast with full motor support (up to 50 km/). 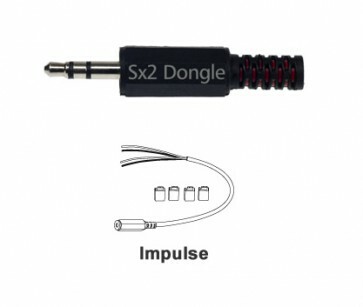 The Sx2 dongle can be installed very easily - just connect the tool to the speed sensor. Thanks to its pluggable design, the dongle can be removed at any time and the tuning can be undone. No batteries are needed for this ingenious tuning tool; it is also fully outdoor-suitable and maintenance-free. All driving modes and starting profiles of the Impulse Evo drive system remain completely intact. Note: To make sure that the proven Sx2 Tuning Dongle also works with this further developed version of the original Impulse drive system, you need a special cable kit for connection. Before ordering, you should therefore first make sure which version of the Impulse motor you actually have. This Sx2 Tuning Dongle is compatible with 28” and 29” E Bikes equipped with the new Impulse EVO drive system (the fitting cable kit is included).